Do Coop and Cami ask the right questions during the first season of the Coop & Cami Ask the World TV show on Disney Channel? As we all know, the Nielsen ratings typically play a big role in determining whether a TV show like Coop & Cami Ask the World is cancelled or renewed for season two. Unfortunately, most of us do not live in Nielsen households. Because many viewers feel frustration when their viewing habits and opinions aren’t considered, we’d like to offer you the chance to rate all of the Coop & Cami Ask the World season one episodes here. 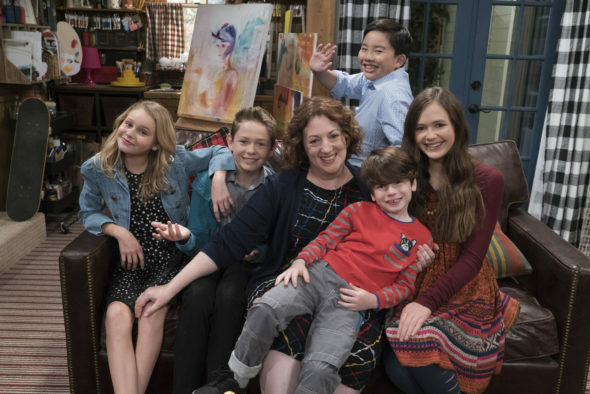 A Disney Channel sitcom, Coop & Cami Ask the World stars Dakota Lotus, Ruby Rose Turner, Olivia Sanabia, Albert Tsai, Paxton Booth, and Rebecca Metz. The live-action comedy series centers on middle-school aged brother and sister Cooper (Lotus) and Cameron Wrather (Turner), who co-host a web series entitled Would You Wrather. On their show, Coop and Cami pose questions and share results regarding all sorts of issues adolescents encounter in everyday life. Their little brother, Ollie (Booth), and Coop’s best friend, Fred (Tsai), are always on hand to help. Their family also includes big sister Charlotte (Sanabia), and mother Jenna Wrather (Metz). What do you think? Which season one episodes of the Coop & Cami Ask the World TV series do you rate as wonderful, terrible, or somewhere between? Should Disney Channel cancel or renew Coop & Cami Ask the World for a second season? Don’t forget to vote, and share your thoughts, below. 1/25/19 update: Disney has renewed Coop & Cami Ask the World TV show for a second season. More about: Coop & Cami Ask the World, Coop & Cami Ask the World: canceled or renewed?